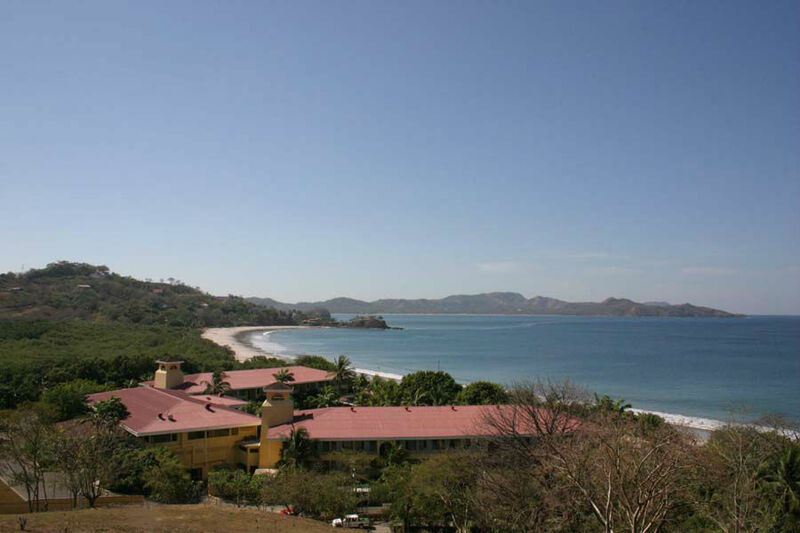 Playa Flamingo (Flamingo Beach) is also known as Playa Blanca (‘White Beach’), because it probably the best sand in the coast of Guanacaste. 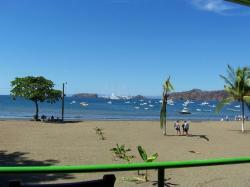 One of the main features of this beach is the quality of its waters, which come from Potrero and Brasilito bays. There, you can practice water sports like diving, water skiing, and recreational fishery on deep waters, which has become the main tourist attraction thanks to the great diversity of ecosystems found in the waters of this beach. Furthermore, in Playa Flamingo, one of the most important international contests of sailfish fishery takes place. Golf has also turned into an important tourist attraction. Near the beach, it is located one of the most popular golf courses in the area, which was designed by Robert Trent Jones Jr., a famous and well-known architect. And, obviously, you can enjoy magnificent natural landscapes such as Playa Conchal and Playa Penca Beaches, or you can hire trips to some of the islands located on the beach’s surroundings, for instance Plata Island, which is located just in front of Playa Flamingo. 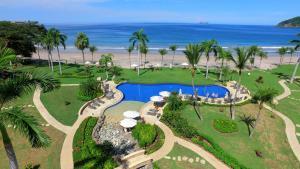 Furthermore, Playa Flamingo has the best hotels and resorts of the entire Guanacaste; there, you can choose the accommodation that suits you best from a wide range of possibilities. 13.67 miles away from Tamarindo, Province of Guanacaste, Costa Rica.